After self described “anti-fascist” threats of violence against Republicans caused the cancellation of the 82nd Avenue of the Roses Parade in Portland, it was feared that other Rose Festival-related parades would follow suit. That wimpy way out seemed to suit the crowd at City Hall, which has allowed these thugs to run rampant in the city for years, causing violence, disturbances, park take overs, house take overs, freeway take overs and other mayhem. These elected officials even indulge leftist threats, paid them respect and gave them political space in the public square even as they marginalized or shut out altogether conservative political expression. Within hours of the announcement that the 82nd Avenue of the Roses Parade would be canceled, St. Johns Parade officials reportedly pronounced that no political groups were welcomed to join in their event on May 13th. When KGW-TV and KATU-TV reported the news, it caused a frisson on fear to pass through the body politic (at least on the right) in Portland. Would this be the new normal now? Would free speech and political expression be spiked under the guise of not wishing for any violence –violence exclusively perpetrated by the leftists? Capitulating, in other words, to the civic extortion by thugs who caused the violence? The news chilled people to the bone. People worried that news media reports about parade organizers banning any political groups from participating were right. So it was quite a … ah, surprise … to local Republicans when a list of participants showed that Democratic party officials were marching. ‘Nice’ to know that the ookity “CU Next Tuesday” people were placed next to Cub Scout Pack 417. Nice job, St. Johns Parade. But the question remained, if there were restrictions on political entries, how in the world did the group which birthed these faux “anti fascists” get into the line up and the GOP was left out? Well, for one, St. Johns Parade officials told me there was never a ban on political groups from the parade even though the media reporter there was one. Were there any groups left out due to being political in nature? None, unless they chose not to show due to weather. “The parade is a free event! Anyone can enter – young and old! All entries are welcome that fit the family venue of the parade. No alcohol, firearms or weapons of any kind are allowed. If there are any loud arguments, disputes, or other issues that arise in the staging area or along the parade route, the people involved will immediately be asked to leave and may be escorted by the police, if necessary. Legge told me that the parade had received no threats and everything came off beautifully. As we’ve seen, Portland conservatives and members of the GOP don’t have to go looking for problems, they’re discriminated against enough as it is. But it does give rise to the question: Did the far left violent protesters leave that parade alone because no Republicans were marching in it? This post has been updated to add photos and clean up the presentation that, sadly, had to be done quickly at the airport. If you’ve looked at my Facebook posts or seen the news you know by now that Michael Strickland has been given no prison time for pulling a gun in self-defense on a bunch of fascistic, in-bred cult ‘protesters’ who assaulted him once and then came back to do it again at a rally and march on July 7, 2016. He faced as long as 50-years-in prison for the overcharged counts in this case. Strickland will serve a 40-day jail term (which will be reduced with time served), hours of community service, thousands of dollars in fines, be put on three years probation, and have his second amendment rights forever stripped (unless and until this conviction is vacated), and his first amendment rights to record these drug-addled mental patients and engage in journalism halted for years. 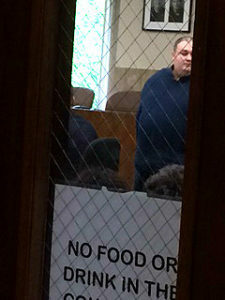 Strickland learned of his (temporary) fate Wednesday morning in a downtown Portland courtroom presided over by Judge Thomas Ryan. And inside the courtroom was the Star Wars bar scene. 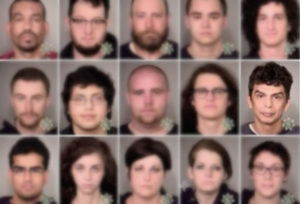 Sitting amongst the faux anarchists and ironically self titled “anti fascists” (antifa) in the courtroom Wednesday reaffirmed several cliches about these people. At least three of these nuts had been arrested recently on riot charges, violence and vandalism. One had been in federal prison at least three different times. Three cops, one wearing a TAC vest and eye protection, had these guys on eye lock. You might have read about him on this website. I outed their phony “occupation” of the park in downtown Portland and showed their union paymasters running the operation. My colleagues and I outed how PSU and PCC aid and abet their violence (thank you, Daylight Disinfectant and Laughing at Liberals!). They’re fakes. Their outrage is fake. There’s no there there. Their outrage has no terminus. What fun is there in that? They’re frauds. And here was the latest generation of professional protesters in court. Most looked like they’d just meandered in on a stopover between getting their ’test results’ at the clinic and hopping a bus to get their free methadone fix. 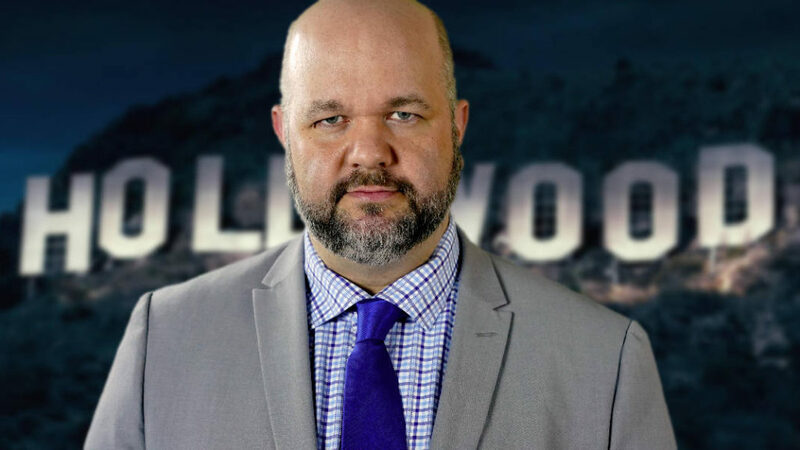 They set up Michael Strickland by assaulting him, and now they waited, like a pack of hyenas, to bay in the victory as another guy who thought differently than they, was finally ‘getting his’ at the hands of a politically manipulated judiciary. Some anarchists. The extra security wasn’t there because of Strickland or his supporters. These multiple felons and recent arrestees — a millennial rogues gallery — sat in the courtroom hoping Strickland would be forever silenced. And here was Strickland. Getting worse than they ever had. All for defending himself against this pack of un-thinking, vapid thugs. And it happened in a court that preferred riot to gun rights. People said they were grateful for the lighter sentence for Strickland. I’m not. I’m not ‘grateful’ that Michael Strickland won’t be going to prison for defending himself at a Black Lives Matter/Don’tShootPDX rally and march last July. He never should have been brought up on charges in the first place. I’m not ‘grateful’ that a person gave a ‘victim’ impact statement and urged no prison time for Strickland. He was the one who helped instigate the whole, sorry affair and then bragged about it on video. I’m not ‘grateful’ that Strickland ‘only’ has to do 40 days in jail (29 with time served). Innocent men should not be put behind bars. I’m not ‘grateful’ that Strickland can never possess a gun until this conviction is vacated because these trumped up charges have made him a felon. I’m not ‘grateful’ that the world will get to see the video taken by Strickland of the first assault that took place against him which caused him to draw his gun when they came back to do it again. That tape was purposely put on lock down by the Kate Molina and Todd Jackson of the DA’s office because it exonerated Strickland. It should have been out in the public domain from the beginning. I’m not ‘grateful’ for the 240 hours of community service he must serve as a mea culpa for ‘victimizing’ one of the people coming to assault him again. I’m not ‘grateful’ that people who believe in the rule of law must now scrape together what’s left of their savings and help defend Strickland against a system that has turned the rule of law on its ear in this case. I’m not ‘grateful’ that Strickland has to go through the Oregon ‘justice’ system again in a retrial and appeal. I would be grateful for help from the long list of constitutional legal groups I’ve begged to take on this case. I would be grateful for more national attention on this outrageous case. I would be grateful for financial help for Strickland’s defense and for his living expenses since the judge says that even recording weddings is a bridge too far for the videographer. I would be grateful for an unbiased legal system. But until there’s reason for gratitude, I’ll be over here writing about this case. A sentencing report prepared for Judge Thomas Ryan recommends no prison time for Michael Strickland, though the judge could ignore the report. 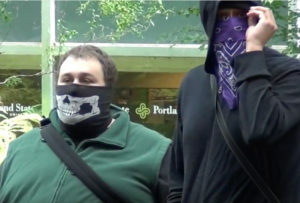 Strickland never has posed a threat to anyone, even the day he was forced to draw his weapon to defend himself against an onslaught of Portland Black Bloc outfitted anarchists and the ironically self described “anti fascists” as they attempted to — for the second time that day — assault and throw him out of a protest July 7, 2016. The move employed by the violent mob that day was the same threatened against the GOP at the 82nd Avenue of the Roses Parade, which was canceled due to the promised violence. Multnomah County’s two track justice system — one for anarchists and one for law abiding citizens such as Strickland — is being watched by national figures. Strickland has secured the services of Robert Barnes, an appeals attorney, to take over for his able trial attorneys Chris Trotter and Jason Short. Barnes specializes in tax law and constitutional law. He successfully argued and won the first amendment aspect of actor Wesley Snipe’s tax prosecution. He’s been involved in several high profile cases. Though he bases his practice in Los Angeles, Barnes practices all over the country and the world. He’s tried at least one case in Oregon before. Though rife with many appealable angles, Barnes has told me that he initially sees the Strickland case as a first amendment case. 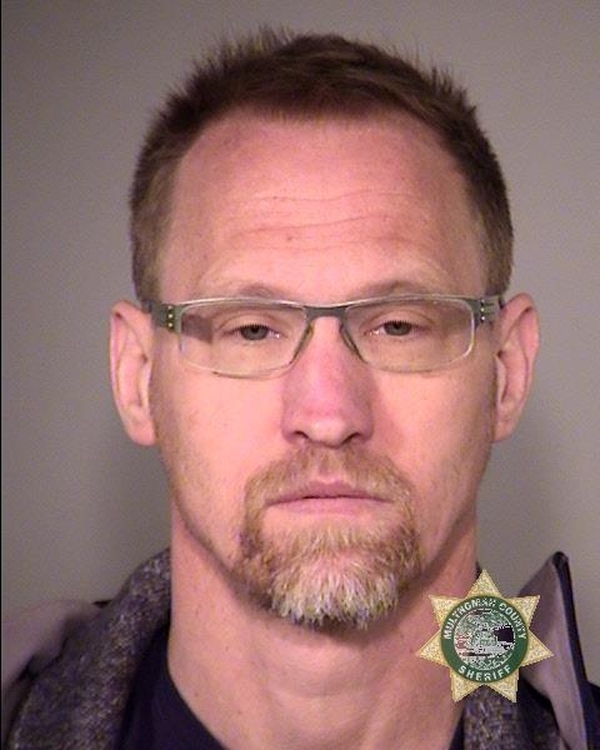 Strickland will be sentenced today at 9am in the Multnomah County Courthouse. I won’t rest until Strickland gets his ability to do his job back, his freedom back and the agonies that he’s undergone absolved and restored. I hope there’s a civil lawsuit against these people and I hope he wins a huge judgement against them. One of the supposedly key witnesses in the trial of Michael Strickland was Benjamin Kerensa. 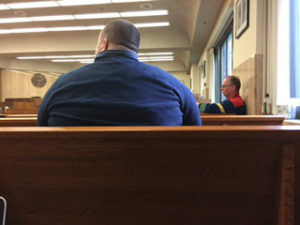 The multiple federal and state felon was caught in several lies on the stand in his testimony as a ‘victim’ of Strickland’s. Strickland defended himself against the same kind of the violent “anti-fascist” “protesters” who shouted down and threatened violence against Ann Coulter and Milo Yiannopolous at Berkleley. 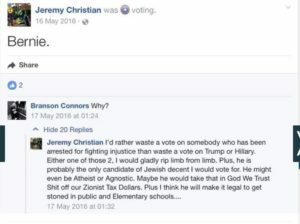 In Strickland’s case, however, the Black Bloc kindred in Portland succeeded in assaulting him once and were coming back to do it again at a Black Lives Matter/Don’t Shoot PDX march and rally in Portland, Oregon on July 7, 2016. 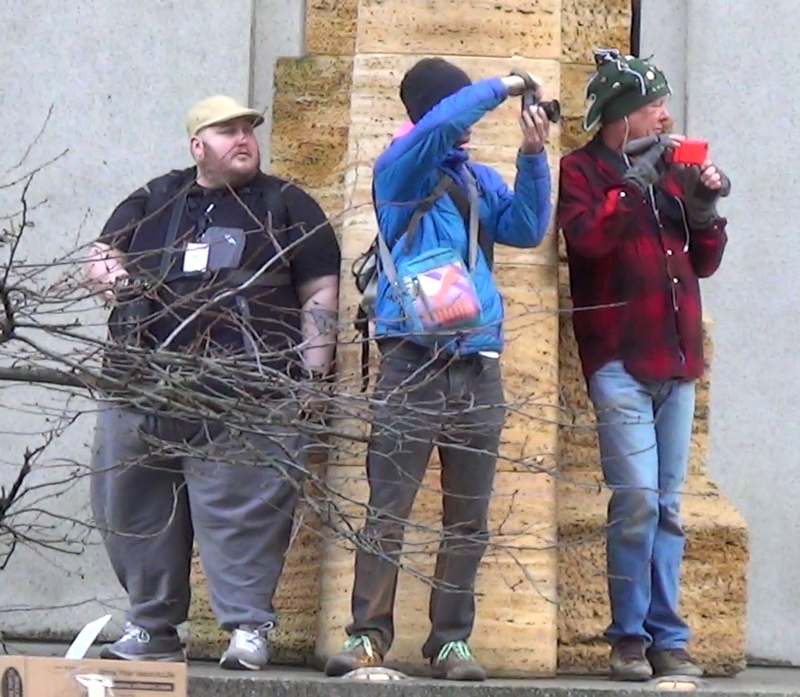 Strickland is a videographer who records Portland events under the YouTube moniker “Laughing at Liberals.” As I’ve explained previously, anarchists, protesters and the rest of them didn’t like Strickland because he made them look stupid. Strickland’s stories have made national news. Police cited him on two misdemeanors and let him go after processing. But when the judge –whose daughter is a frequent protester (more on that in another post)– arraigned him a few days later, suddenly the assaulters became ‘victims’ and Strickland was charged with ten felonies and eleven misdemeanors. Strickland spent ten days in jail while friends struggled to come up with bond that would cover a now ridiculous $250,000.00 bail. But back to our fluffy fabulist. 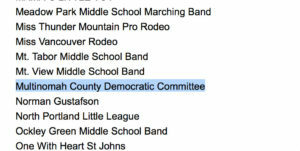 Kerensa testified to a conspiracy in court to throw Strickland out of the protest and I independently confirmed this. It might have been the only truthful thing he said on the stand. He testified that he was not an anarchist, a provable lie. He testified that he saw the videographer unholster his gun up to five times, a provable lie. He testified he wanted Strickland thrown out of the event to protect ‘the children,’ a laughable lie. He testified Strickland was a racist, a trope to, in his mind, justify violence against him, but is without evidence. He testified he never harmed Strickland, a provable lie on Strickland’s own video recording and first hand account. 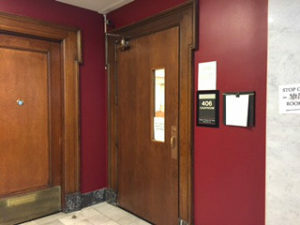 He testified that Strickland looked “unstable” to justify his assaults. One of the interesting things about the nearly 400 pound Kerensa is that he has an odd way of simply showing up and becoming part of stories. After the incident last July, he gleefully bounded up to a friend and fellow anarchist who was recording the event to tell him that he made Strickland draw his weapon. As I’ve recounted before, according to news accounts and court records, Kerensa did time in FEDERAL PRISON for making bomb threats to a former employer and to the tech confab known as Oracle World in the Bay Area. Thousands of people were forced to evacuate the event from Moscone Center. Police say his former employer was a movie theater which had to be evacuated. 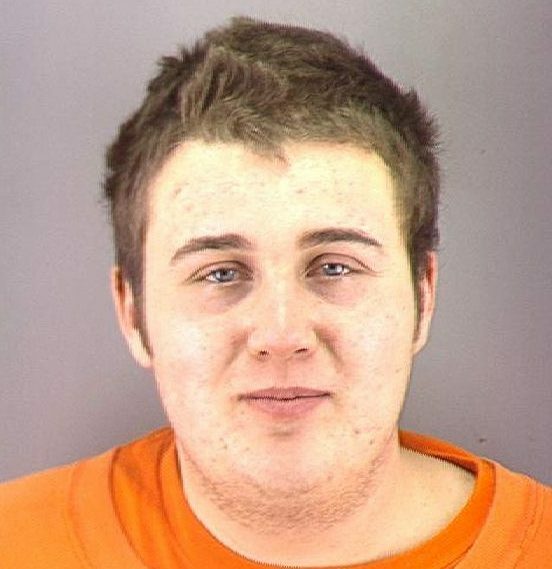 And Kerensa made the bomb threat phone calls from the offices of man running for mayor of San Francisco where Kerensa ‘volunteered.’ Volunteers recalled in a news account that the rotund young man sat around, eating the free food and trolling the internet. Sometimes he spent the night in the office. Kerensa was charged Tuesday under a federal law against “maliciously conveying false information” through telephonic bomb threats. Less than five years after that Oracle World federal prison stint, Kerensa was out and slithered up to Oregon. He was caught in several counties in Oregon doing illegal activities over a period of time, but he then he settled in on making fraudulent phone calls again — sound familiar? According to federal sentencing documents, Kerensa pretended to be “Special (FBI) Agent in Charge Richard Ellis.” He called for a SWAT team to surround a Salem hospital and other illegal mischief that could have gotten someone killed. He particularly loved to make fake 911 calls. He moved to Portland where at some point he got into the protest scene. He got himself a nice camera and called himself a photographer. Here’s a recent photo of him at (what else) a protest in Portland in January 2018. EDITOR’S NOTE 3/24/18: THIS PHOTO TAKEN BY BEN KERENSA AND GIVEN TO THE OREGONIAN OF POLICE INVESTIGATING THE PIPE BOMB ODDLY WITNESSED BY PREVIOUS BOMB HOAXER BEN KERENSA HAS BEEN REMOVED AND REPLACED WITH THE SCREEN SHOT OF THE OREGONIAN STORY OF THE SAME INFORMATION. THIS HAS BEEN DONE AT THE BEHEST OF BEN KERENSA TO THE HOST OF THIS WEBSITE. Ben Kerensa complaint to host of this website. KERENSA CLAIMED THAT BY SHARING HIS PHOTO IN THE OREGONIAN AND ON HIS FLICKR PAGE THAT HE (ERRONEOUSLY) HELD THE RIGHTS. The photo Ben Kerensa took when he was a witness at the discovery of a pipe bomb in 2013. But we can’t show you the photo he took because he thinks he owns the rights after putting it on his Flickr page and giving it to the media. A witness, Benjamin Kerensa, said an officer told him the device was a pipe bomb. Kerensa said he saw agents with the U.S. Bureau of Alcohol, Tobacco, Firearms and Explosives and the FBI take away at least 10 bags of evidence from the scene. Imagine that, the hacker found a problem in 2015. I wonder if the State of Oregon hired him to fix it? Kerensa’s wild stories and fabulist psychological issues could put a man in prison. 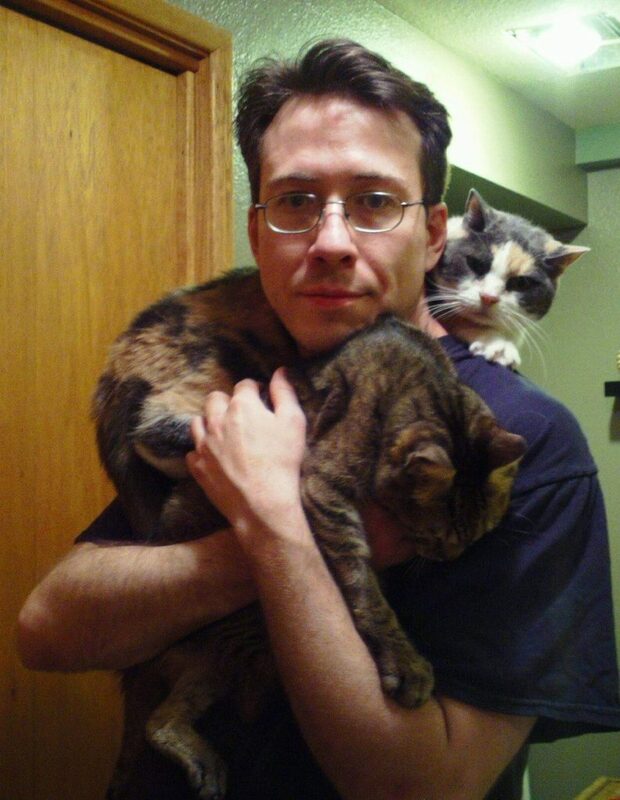 Michael Strickland will be sentenced tomorrow for defending himself against this very, very dangerous man.